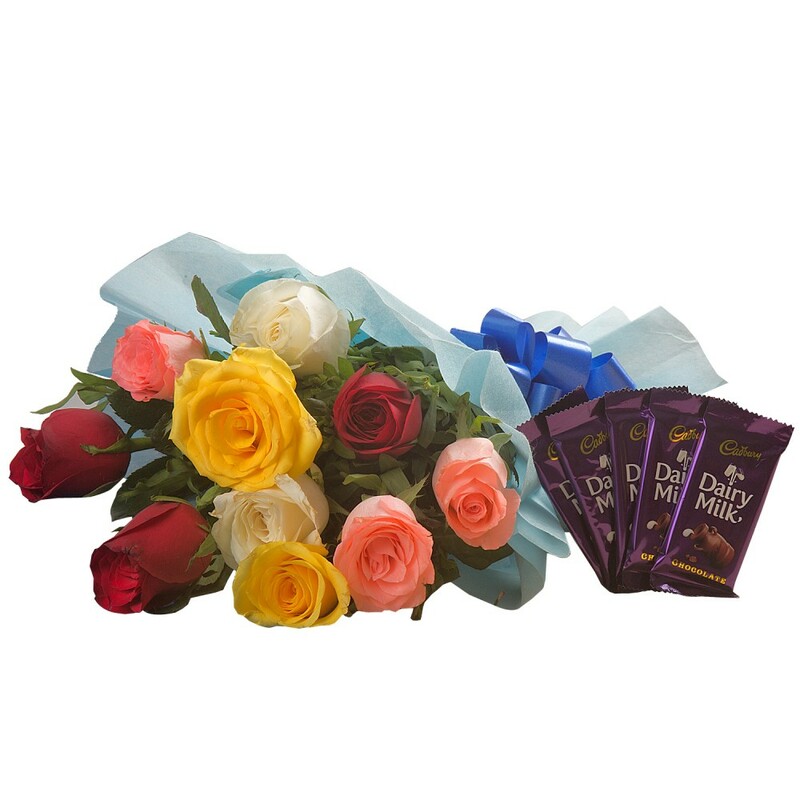 Bunch of 10 Mix colour roses in blue paper packing with blue ribbon bow and 5 Cadbury Dairymilk chocolates 14 grams each. 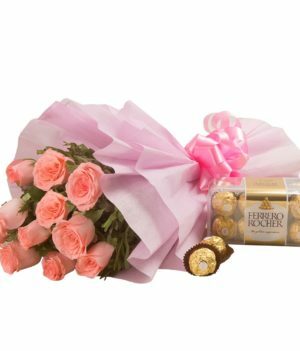 Your love for your closed ones cannot be measured, but you can always make them feel loved all over again. 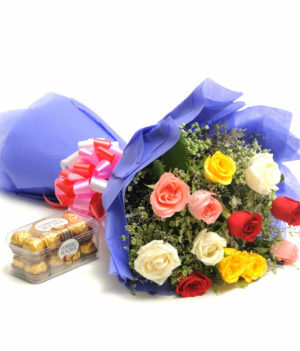 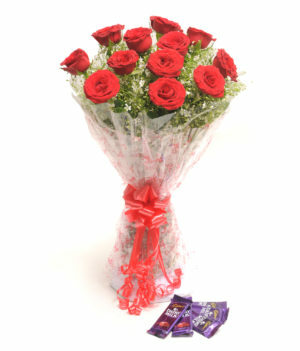 Keeping this in mind, wishbygift.com has come up with this noticeable combo of mix color roses and Cadbury chocolates. 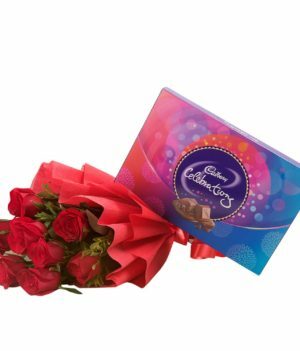 The mesmerizing roses are stacked in blue paper packing complemented with ribbon bow. 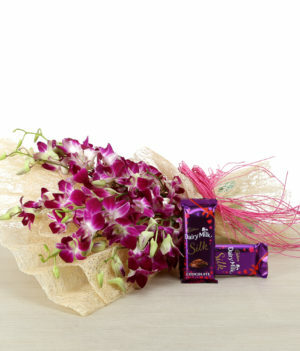 This gift combo serves as your special gift search nicely.